Jillian, Warm and Fuzzy with an Attitude! Listen in live, or listen at your convenience through the archive of the show. Jillian will walk you through the maze to an enlightened and engaging future of change! Jillian’s long time friend, Susan Murphy Milano, left this earth Sunday morning, October 28, 2012, shortly after the release of her last book, Holding My Hand Through Hell. Because of the fact that Susan was not able to participate in the launch, her publisher , Steve Semken of Ice Cube Press, and Jillian Maas Backman created a buzz at the Heartland Fall Forum hosted by the Great Lakes Independent Booksellers Association and the Midwest Independent Booksellers Association. One of the last radio shows recorded by Susan on October 4, 2012 is celebrating the book release happening in real time during her battle with cancer. Many friends and well wishers were tuned in to hear about the book, and to hear personally from Susan. Often shunned by traditional domestic violence organizations, Susan Murphy-Milano became like a one man band, utilizing unique strategies specific to each individual she helped. 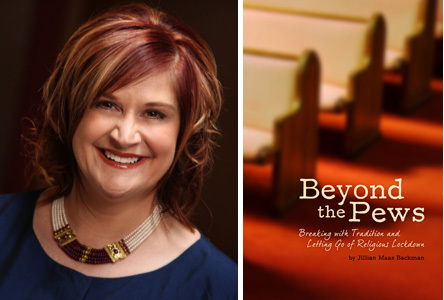 Using her connections within courtrooms and the media, she found herself face to face with some of the worst abusers, often questioning whether God would bring her through the next crisis. Holding My Hand Through Hell is much more than a story of survival, the book is a re-enactment of how God reaches through the fire of chaos and brings peace and hope. A woman questioning her faith through a multitude of experiences finds herself continually in the midst of battle, within her own relationships, and through the thousands of high risk intimate partner violence victims whom she rescued and became a thread in the tapestry of her life. On March 23, 2013 Susan’s close friend, Monica Caison, and attendees of the CUE Center for Missing Persons National Conference honored Susan’s memory with a lantern release. On Saturday, April 13, 2013, on a beautiful sunlit beach in Myrtle Beach, South Carolina, Jillian Maas Backman joined with other friends and colleagues of Susan Murphy Milano in the release of her ashes.